Depending on how handy you are, you may be thinking about attempting to perform your own roof repairs, or other home repairs. There may be some benefits to doing your own roof repairs, particularly if you have the experience necessary to get the job done properly. However, before you decide to forgo hiring a professional, you should consider both the potential pros and cons of doing your own roof repairs. 1. Financial savings. If you can do all the work on your own, without hiring any helpers, you will likely be able to save the labour costs of hiring a professional roofer. 2. You can control the schedule of repairs. A professional roofer may not be able to start your project as soon as you would like, or may want to work shorter or longer hours each day than you prefer. If you do the repairs yourself, you can adjust the schedule so that it is most convenient for you and your family. 1. The time commitment required. Depending on the time required, it may not be financially worthwhile to do your own repairs, particularly if it requires you to take time away from your own job. 2. If you don’t already own all the tools required for the job, renting or purchasing tools may further deduct from the potential financial savings that you get from doing your own roof repairs. 3. If you don’t have the expertise necessary, you may find it difficult or impossible to do the job well, or to do it without assistance. You may find that the job takes you much longer to complete than it would have taken a professional. You may not be satisfied with the end result. 4. The warranty on most shingles will be voided if they are not installed properly. Installing new shingles on your own could potentially be very costly if you run into problems with the new shingles, whether or not the problems are caused by improper installation. 5. Professional roofers carry liability and worker’s compensation insurance in case anyone is injured while the repairs are being performed. 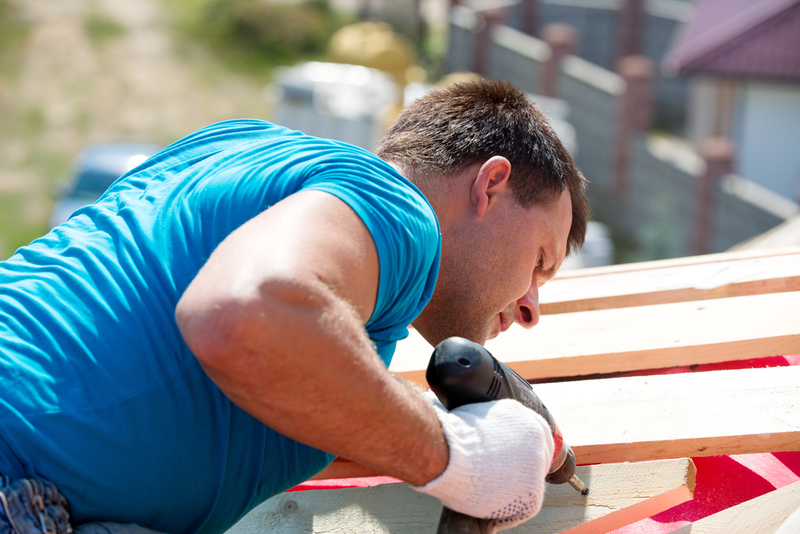 If you do your own roof repairs, you may be held financially liable if someone is injured either while helping you or in passing. For example, a neighbour may be injured by falling debris, or a friend or relative may fall from a ladder while helping you carry shingles up to the roof. Before undertaking your own roof repairs, consider the possible negative repercussions as well as the possible benefits.